"WelcomHeritage Ashdale is a splendid bungalow which is nestled beautifully amidst deodars, oaks and scenic tear-shaped lake. 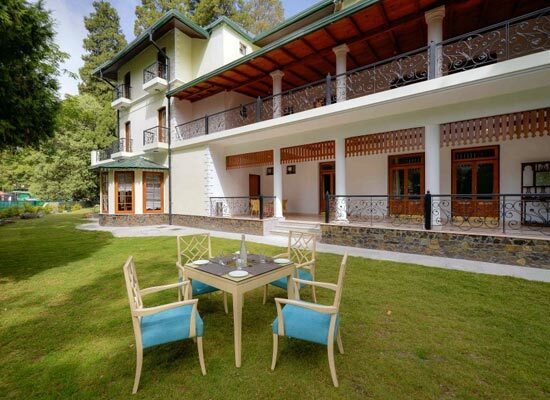 Owing to the modern amenities, breathtaking views and world-class hospitality that it offers, the property ranks amongst the best heritage hotels in Nainital. Well-designed rooms and galleries adorned with pictures of the royal past help you enjoy time travel and cherish the gracious lifestyle. Built by Capt. George Rowels of the British East India Company, Ashdale served as his summer home. 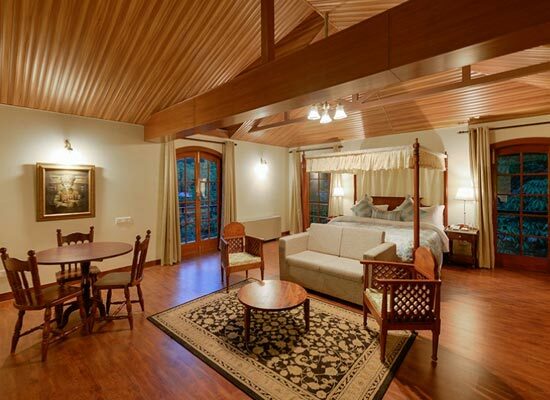 Reckoned amongst one of the earliest cottages in Mallital, Nainital, the property was constructed with wood, stone, English Ivey climbing the Walls and wooden sprung floors. Eleven years after its construction i.e. in 1871, the summer retreat was to put to sale by its owner. Coincidently, Raja Bahadur of Sahaspur Bilari was on a quest to buy property in Nainital at that time. Thus, this dream cottage which earlier belonged to Rowels now became the prized possession of the Sahaspur Bilari Estate. Again in 1980, i.e. 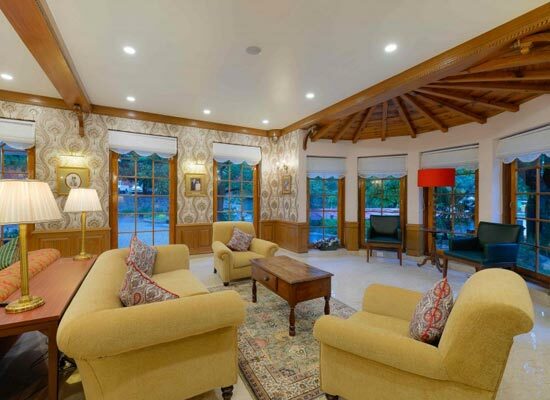 after about 100 years, Ashdale had a new owner, as the property was gifted to Rajkumari Reena Kumari by her mother Rani Indra Mohini, the Rani of Sahaspur Bilari. Presently, Rajkumari Reena Kumari, wife of Raja of Labhowa is the proud owner of Asdale. 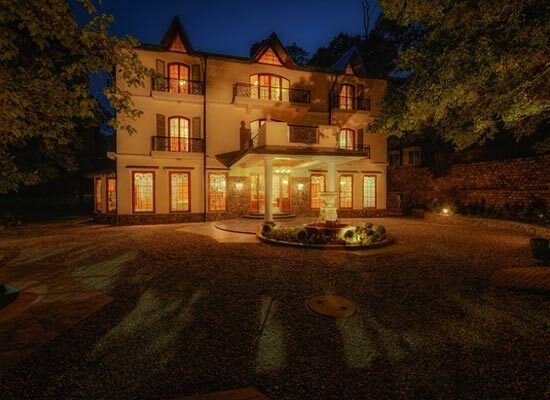 Ashdale has 24 exquisite rooms. Divided into four categories, these rooms offer a comfortable and memorable stay. There are 8 Premier Rooms and 6 Superior Rooms, Apart from these, the heritage hotel also has 6 Regent Rooms. 4 Ashdale Heritage Rooms also add to the charm of the hotel. Treat your eyes to the lush greenery from the attached balconies of your rooms. Dining at the Green Oak Restaurant is a memorable affair. 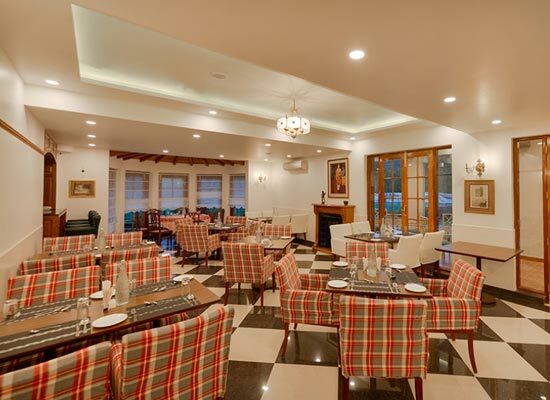 The restaurant serves a wide range of delectable cuisines; be it Continental, Indian or Chinese. Every special dish is prepared in and exceptional way and with full dedication so that the guest can savor the true tastes of the royalty. The majestic Nainital is one of the most popular summer destinations in India, for local and international tourists. Nestled in Uttarakhand, this popular hill station is without any doubt one of the most beautiful cities in the country. The pristine town derived its name from the serene Naini Lake which is a major tourist attraction here. Boating on Naini Lake is the best thing to do in the city to make your Uttarakhand tour memorable.